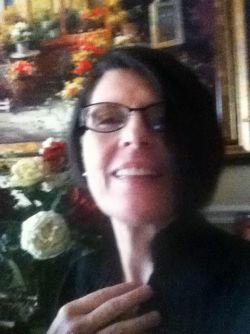 Hi my name is Deana Wolfe, thanks for visiting my website. I am a multiple award winning therapist. I have achieved the Board Certification for Therapeutic Massage and Bodywork (BCTMB), Which is the highest level someone in my profession can obtain. I am a Licensed Massage Therapist (LMT), having met the full licensing requirements for the State of Florida. 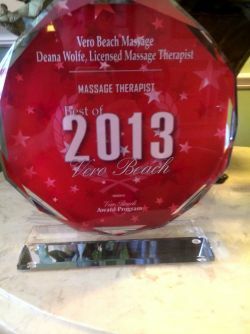 Thank you to everyone that voted me 'Best Massage Therapist in Vero Beach'!2011,2013, and 2014. 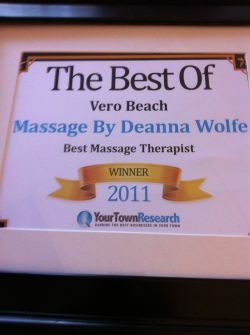 I promise to continue to strive to exceed all your expectations and to continually earn the reputation of your 'Best Massage Therapist in Vero Beach'.